Avoid probate, protect your family's future, ensure your wishes are met! Secure the Future for Yourself and Your Loved Ones With a Proper Estate Plan. While no one wants to think about death or disability, executing a proper estate plan is one of the most important steps you can take to protect yourself and your loved ones. In doing so, you are ensuring that all of your assets — including real estate, bank accounts, investments, life insurance policies and personal property — are preserved to the extent possible and are transferred as quickly and efficiently to those individuals, or entities, you designate as beneficiaries. A properly executed estate plan does more than just transfer assets upon death, it can nominate guardians for minor children, appoint fiduciaries to manage money for minors and individuals with disabilities, eliminate or reduce taxes, preserve government benefits, minimize family conflict, and simplify the probate process or avoid court intervention altogether. Possibly the most important aspect of proper estate planning is the ability to ensure that the loved ones you leave behind are properly cared for and that the stress and emotional impact of unnecessary legal proceedings are limited to the extent possible. 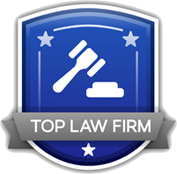 The Law Offices of Gerkin & Decker is experienced in a full range of estate planning services. From wills and trusts to navigating the complexities of the probate system, we have the knowledge, insight and experience needed to help protect your assets and give you peace of mind. Can I avoid probate and other court proceedings by having a will? No. A will, without further estate planning, will not allow your estate to avoid the probate process. A will merely provides instruction to the probate court and to your personal representative as to how your estate should be handled during the probate process. I don’t have a very large estate, so it seems to me that having a trust is overkill and would be more expensive. Why can’t I just use a simple will? You can. However, there are many benefits to having a trust. Generally speaking, your estate will have incurred more expenses by using a will and going through the probate process rather than using a revocable living trust. There are fees and costs associated with the probate process, including filing fees, an inventory fee and, often, legal fees. On the non-monetary side, going through probate will mean that your heirs and beneficiaries will be forced to adhere to the time table set by the probate court. A trust also allows you to disburse assets in ways that a will cannot and generally provides you with a greater level of control over your estate. I hold everything jointly with my spouse; therefore, I thought I would simply put my children’s names on our property so we can avoid probate that way. Is there any problem with this? Jointly held property between spouses is very common and does not generally lead to any estate planning issues. However, it is important to understand that the use of joint tenancy between a husband and wife will avoid the time and cost of probate at the first death, but probate at the second death will most likely still be required. Unlike jointly owning property with a spouse, jointly owning property with a child or another individual can potentially lead to some very serious problems. This type of “estate planning” often results in family feuds, severe tax consequences and your ultimate intention not being met. By adding children as joint owners to property you may inadvertently lose some, or all, control over the joint property; you may inadvertently include the dower rights of in-laws; and, you may be inadvertently subjecting the jointly held property to the creditors of your children. 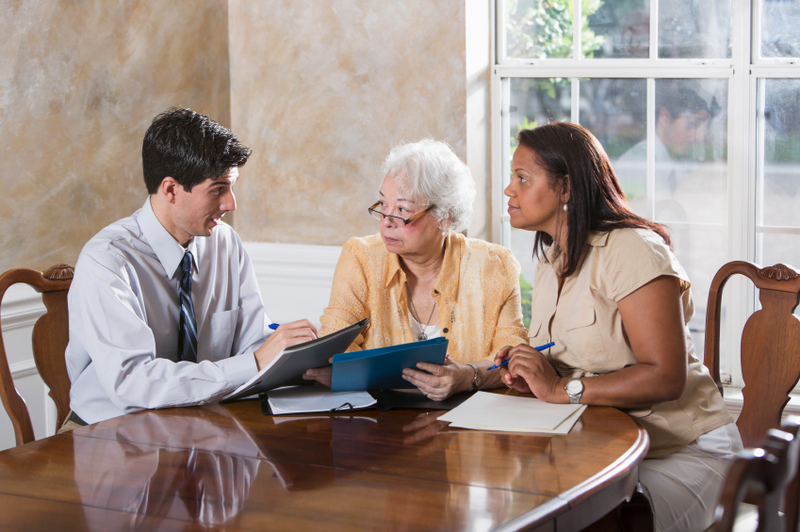 Why does a trust avoid probate? The key in avoiding probate with a revocable living trust is the retitling of assets. Assets titled in the name of the trust avoid probate. If at the time of the person’s death, the asset is owned by the trust and is not in the decedent’s individual name, that asset is generally not subject to administration by the probate court. This is why it is imperative that after a trust has been established, all assets be diligently transferred from the individual’s name to the trust. Without this “trust funding” the individual’s assets will still be subject to probate court administration even though a trust was created and executed. Would using a trust during my lifetime restrict me in what I can do with my own property? Not at all. A revocable living trust is a document created while you are living but does not prevent you from continuing to use your property as you wish during your lifetime. It can also be revoked or amended at any time. I do not believe that our family needs a trust since we have a small child and our estate is well under the applicable exclusion amount for estate taxes. Is this correct? Even though your estate may be considered modest, as parents you should understand what would occur if you both died prematurely. Would you want your child to be able to receive his or her entire inheritance at age 18? If you leave assets to your minor child and both parents die before he or she reaches age 18, the court will appoint a conservator to administer the funds. However, when the child turns 18, he or she will receive a lump sum inheritance. Further, it is important to understand that you do not need to be extremely wealthy to enjoy the benefits of a revocable living trust. Trusts are first and foremost probate avoidance tools. If you establish a revocable living trust, you will appoint a successor trustee to administer your estate after your death. A successor trustee essentially performs the same function as an executor of an estate. A significant difference is that the successor trustee will typically not have to undergo any court proceedings to accomplish your goals. If I am going to establish a trust, why do I have to have a will? There are still very good reasons to have what is called a pour-over will. If you have a minor child, the Last Will and Testament is the document used to nominate a guardian. There will need to be a court proceeding in order to appoint a guardian and it is appropriate that the will be used to make that nomination. Further, the pour-over will instructs that, after any taxes and expenses are paid, the remaining assets “pour-over” to the trust and be handled according to your trust instructions. It is a safety net to ensure that any assets not properly funded in the name of the trust — and therefore subject to probate — are deposited into your trust and administered according to your written wishes. A will is a legal declaration appointing a personal representative, often referred to as an executor, to manage your estate — per your instructions — upon your death. However, it is important to understand what a will can and cannot do, and what steps you can take to best protect your assets and your loved ones. A will does not avoid probate, an often expensive and lengthy process. A will may be used to nominate a legal guardian to raise your minor children until age 18. A properly executed will provides directions to the probate court and your personal representative regarding how to administer your estate and to whom your assets should be distributed. It is important to understand how a will functions and the complexities of the probate process prior to determining the best estate plan for you and your family. 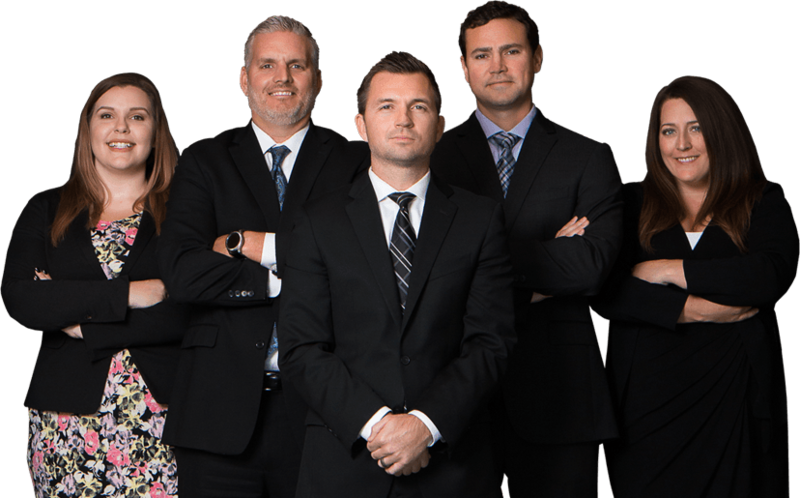 Let the estate planning team at Gerkin & Decker help you properly protect what you’ve worked so hard to attain. A trust is a probate avoidance tool and, when properly executed, can help you save your loved ones from the costly, often time-consuming, probate process. There are many different types of trust agreements, including Revocable Living Trusts, Testamentary Trusts, Irrevocable Trusts, Special Needs Trusts, Credit Shelter Trusts and Asset Protection Trusts. Each has a unique purpose. The Revocable Living Trust is the most common type of trust agreement, and works well for individuals and/or married couples. It can be structured in a multitude of ways and provides flexibility to the person (known as the grantor, trustor or settlor) creating it while preserving ultimate goals and intentions. When a Revocable Living Trust is created, and executed, the grantor retitles his or her assets into the name of the trust and provides instruction as to how those assets are to be managed and distributed upon death. Typically, the grantor becomes the initial and primary trustee of the trust and has total control over his or her assets while alive. The rights and control of assets are not lost due to the retitling of the assets into the name of the trust. A trust works much like a will by appointing someone (known as a successor trustee) to manage the estate after the death of the grantor, and establishing a plan of distributing estate assets. However, unlike a will, a properly executed trust avoids probate by establishing an entity to hold estate assets that is separate from the individual grantor. This allows individuals to protect against estate taxes, establish more complex distribution schemes and place delays or contingencies on distributions to individuals such as young children or those with disabilities. A common misconception is that trusts are only necessary for the extremely wealthy or for those with complicated asset distribution plans. Truth be told, while a trust can certainly provide tax protections and other benefits to those individuals with large and valuable estates, a trust is an effective estate planning tool to avoid probate and fulfill your intentions regardless of estate size or complexity. There are several instruments that allow your interests to be represented by an agent of your choosing if you become unable to make decisions on your own behalf. Understanding how the different instruments work and the responsibilities of the agents you appoint is extremely important. A durable power of attorney is a written document that remains valid even if you become unable to make your own decisions. It allows you to appoint an agent to manage your financial affairs or conduct other business for you during incapacitation or when you are otherwise unable to act in your own best interests. Durable powers of attorney may be general (allowing your agent to perform any act which may be legally done by you) or limited (specifying which activities or events, such as selling property or making healthcare decisions, are allowable). When creating a durable power of attorney, you must select an agent to act on your behalf — someone you trust to carry out your wishes and manage your financial affairs. A medical power of attorney (or patient advocate designation, durable power of attorney for healthcare or healthcare proxy) is a limited durable power of attorney created for the purpose of appointing an agent to make important healthcare decisions in the event of your incapacitation. With a medical power of attorney, you must select an agent you trust to make healthcare decisions for you, taking into consideration who knows you best and will be able to speak on your behalf and make difficult medical decisions that fulfill your wishes. Like any other legal decision, creating and executing powers of attorney require careful consideration and professional guidance to ensure you make the best choice. Let the Law Offices of Gerkin & Decker help you with these and other estate planning services. Call to schedule a consultation today. To see how Gerkin & Decker, P.C. can design and execute the best estate plan for you and your loved ones in Genesee County and the surrounding areas, (810) 207-6553. You can speak directly to an attorney and understand your rights before you make a decision.